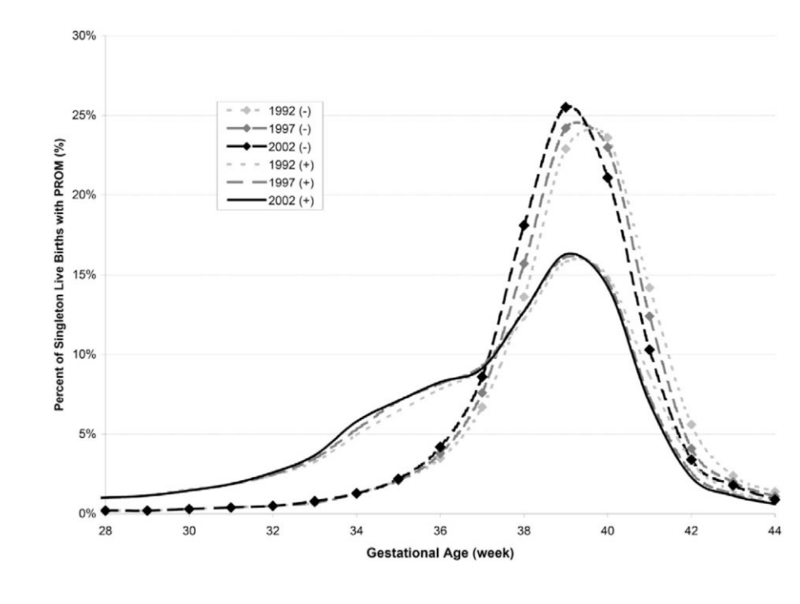 I have data from the CDC on the gestational length of pregnancies to the nearest week between 2007 and 2017. This is based on the "obstetric estimate" of gestation since it's rare that the mother knows the precise date of conception. I want to estimate these values down to the length in days based on the week-to-week estimates. This is a thought experiment, not a medical project in which anyone's health rests on the outcome! Here's the distribution by week. Data at the bottom. The mean value is 38.5783 and the median is 39 (as is the mode, obviously). 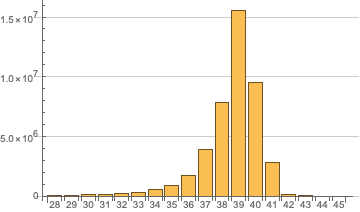 If I understand Wikipedia right, this is a normal distribution with a negative skew. I think this is a pretty simple exercise, but how do I compute the distribution based on these landmark values (which we can consider Wednesday, or day 4 of the week), and then get the probability for the other six days in each interval? Browse other questions tagged normal-distribution predictive-models population or ask your own question. Time series data distribution forecast? How should I color scheme a heat map based off data below? How to fit a Gaussian distribution with outlier data points? How useful are per capita calculations in level of education of a population? How to predict future data points with probability distribution associated, given past few samples? Does RMSD-based estimation conserve the estimated data distribution?